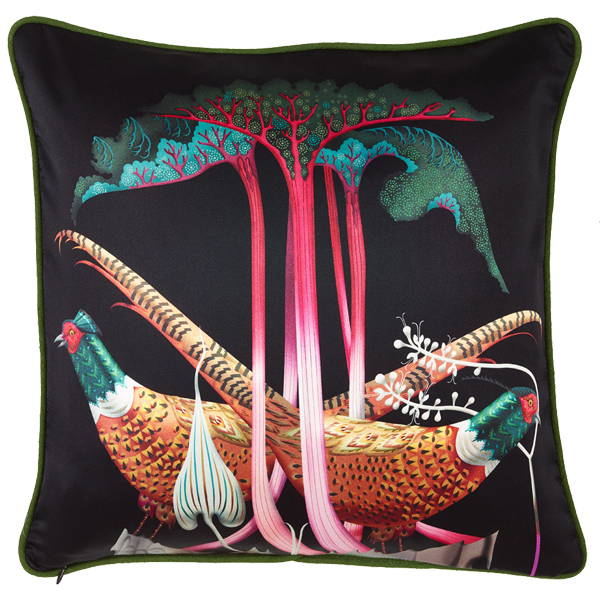 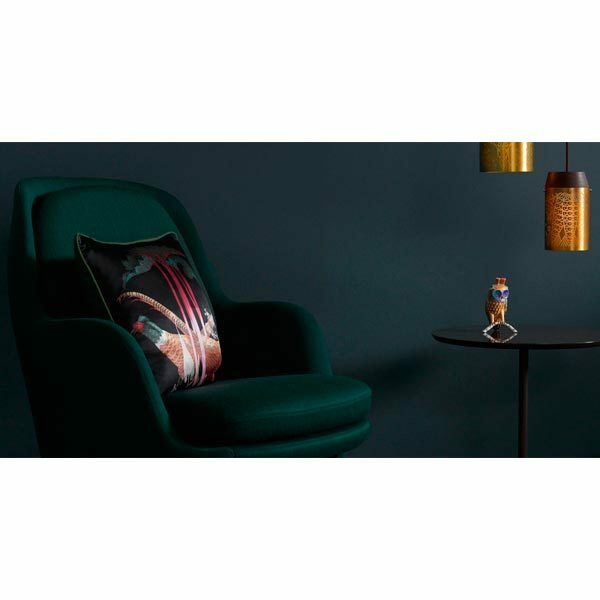 Klaus Haapaniemi’s Pheasants and Rhubarbs cushion cover features two handsome male pheasants under beautiful rhubarbs. 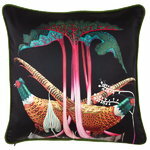 The print side of the limited edition cushion cover is made of pure silk and the backside of moss green linen. 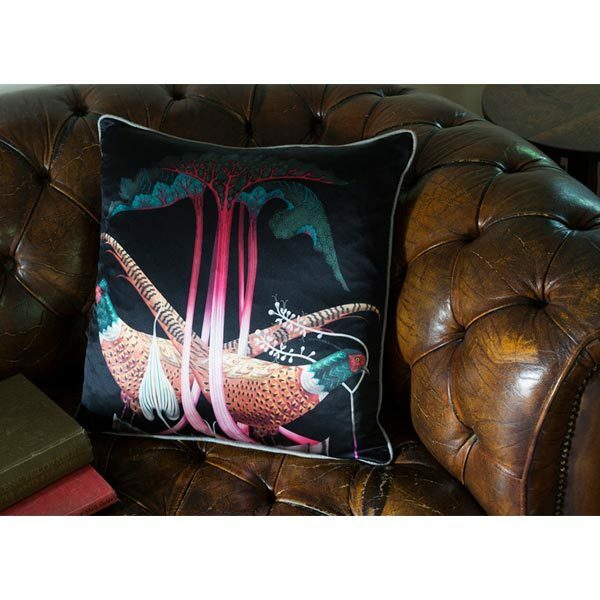 The Pheasants and Rhubarbs print is a delightful example of Haapaniemi’s lush, detailed illustrations that will draw attention in any décor.